Three Men in a Boat. Who said: I like work, it fascinates me - I can sit and look at it for hours. 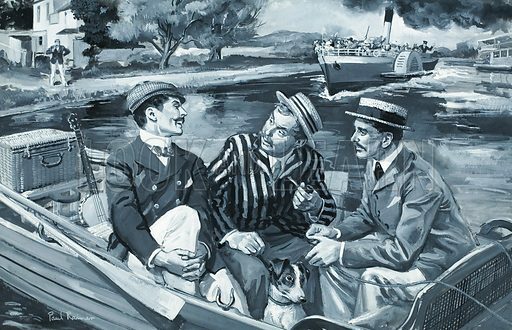 Anser: J, in Three Men in a Boat by Jerome K Jerome. Original artwork for illustration on p29 of Look and Learn issue no 288 (22 July 1967). Lent for scanning by The Gallery of Illustration.